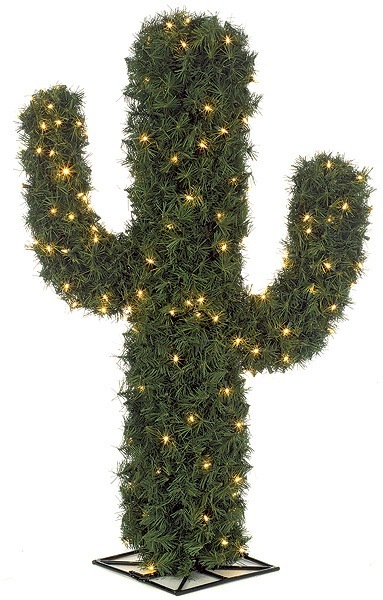 4 foot PVC Pine Cactus - 1,544 Green Tips - 200 Warm White 5mm LED Lights - Metal . If the accent base container is listed in the description, then it comes with the topiary. Otherwise, the container is for display only and comes with a plastic base as shown. This is a great tree to use because it comes off as a pine cactus. The pine cactus style of the tree is going to help your lawn look more befitting of your house, and you will feel like you have added something to the house that you could not plant on your own. Put up as many of these pine cacti as you want to make your lawn more appealing.